Born in Milan in 1965, Tony Arco began learning the drums at the age ofthirteen with Maestro Lucchini. His first professional experiences started at the age of 18 with various localgroups, while his first major jazz engagement was with pianist Piero Bassini, with whom he afterwards often performed at the “Capolinea” jazz club in Milan.He also played that time with various other artists, including Sergio Fanni, Mario Rusca (who he still performs with) and above all, one musician whowould prove fundamental to his jazz education: the great American clarinet player Tony Scott. Arco has since played with Scott on numerous occasions both in Italy and abroad.By now fully immersed in the professional musical environment, in 1988, driven by his natural intellectual curiosity, Tony Arco decided to leave for the States, where he stayed for almost five years studying with Gary Chaffee, Bob Moses and Alan Dawson. In 1990 he started playing drums at Boston’s legendary “Wally’s Jazz Club”, where he performed with the groups of Roy Hargrove and Antonio Hart, and with many other American musicians including John Medesky and George Garzone. On his return to Italy in 1992, Arco swiftly became reinstated into Milan’s professional milieu, performing as drummer with various groups, such as the bands of Gigi Cifarelli, Mario Rusca, Antonio Farao’, and also Demo Morselli’s Big Band, with whom he played for several months on the “Maurizio Costanzo Show” – at that time Italy’s number one television talk show. The 1995 introduced a new dimension when he met Enrico Intra and Franco Cerri, who offered him a post teaching the drums at the prestigious “Scuola Civica di Jazz” in Milan.He was also asked to play in the “Civica Jazz Band” and to become the director of the percussion group “Time Percussion”, one of the school’s permanent ensemble.Today Arco’s highly acclaimed teaching methods are generally considered a reference for students. He is also involved in top-level artistic projects in Italy and internationally. His concert performances to date include playing with such artists as: Mark Murphy, Bobby Watson, Kenny Barron, Charles Tolliver, Tony Scott, Dave Liebman, James Newton, Carl Anderson, Enrico Pieranunzi, Franco D’Andrea, Enrico Rava, Paolo Fresu, Franco Ambrosetti, Rachel Gould, Sarah Jane Morris, Bob Mover, Irio De Paula, Marcus Stockhausen, Gianluigi Trovesi, Roberta Gambarini, David Murray, Eddie Daniels, Luigi Bonafede, Joe Diorio, John Mosca, Evan Parker, Billy Cobham,Airto Moreira, Phil Markovitz, James Cammack, Sonny Fortune, Jesse Davis, Rob Sudduth, Andrew Hill, Garrison Fewell, Red Holloway, Joe Fonda, Emil Richards, Bob Mintzer, Kenny Wheeler, Nnenna Freelon, Pat LaBarbera, Albert e Jimmy Heath, Dave Weckl, Dee Dee Bridgewater, Joey Calderazzo, Steve Grossman, George Whitty, Chris Minh Doky, Scott Hamilton. As a large ensemble specialist, Arco has performed with symphonyorchestras and big bands such as “Orchestra Verdi”, “The Carl Anderson Big Band”, “Orchestra Cantelli”, “Orchestra Citta’ di Ravello”, “OrchestraTeatro Massimo di Palermo” and Shlomi Goldemberg’s “Little Big Band”. At present he is a member of the “Nights Fly Orchestra” lead by vocalist “Nick The Nightfly”. His discography has also reached a top-ranking level, with more than eighty CDs recorded with artists as Lee Konitz, Enrico Rava, Mario Rusca, Antonio Farao’, Dave Liebman, Tony Scott, Gianni Bedori, Guido Manusardi, Andrea Tofanelli, J.W. Orchestra, Franco D’Andrea, Claudio Angeleri, Nick The Nightfly, Franco Cerri and Enrico Intra, besides those CDs of the “Civica Jazz Band”, which have won recognition with the music press. As a co-leader of the Cues Trio he has recorded “Introducing Cues Trio”,and “Feel: Cues Trio meets Dave Liebman”. He has also recorded two CDs as a leader with the Time Percussion group: “A Journey Within”, also Time Percussion with Franco D’Andrea “Live at Iseo Jazz Festival”, as well as “It’s About Time” with his own Tony Arco Quintet. 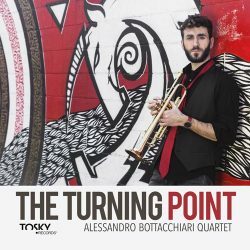 Togheter with Liebman – Tarenzi – Benedettini he has recently released (Verve Records) the live album “Dream of Nite” and the album “Negative Space”. His latest release as a leader is the album “Rather Odd”, now available on the Japanese market.